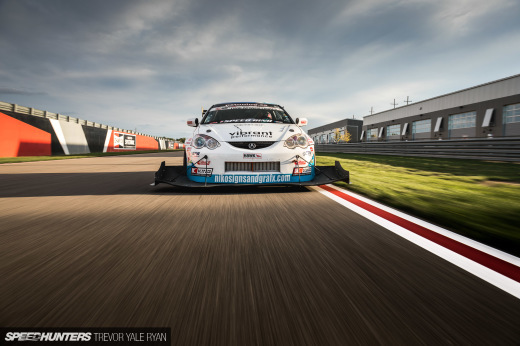 Every year in the Japanese Time Attack scene, there’s only one event to remember and that’s the REVspeed Time Attack event at Tsukuba. 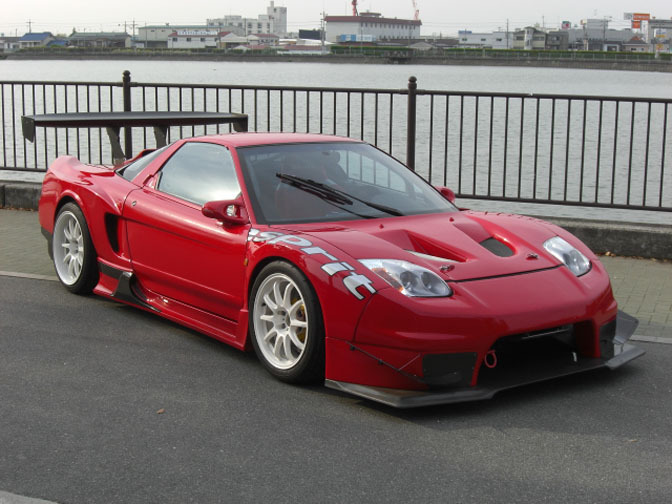 All the major tuners in Japan are there to present their new cars and products. 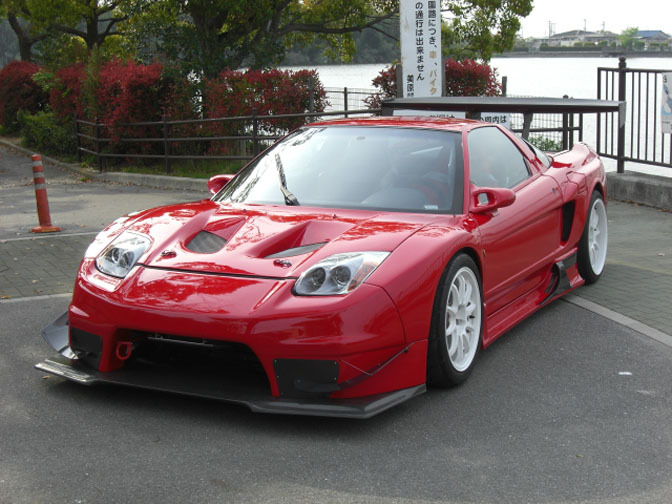 One of those tuners is Esprit and they always enter their blue and white NSX. Last year they managed a time of 57:506 seconds, getting it in the top 10 of fastest times that day.. 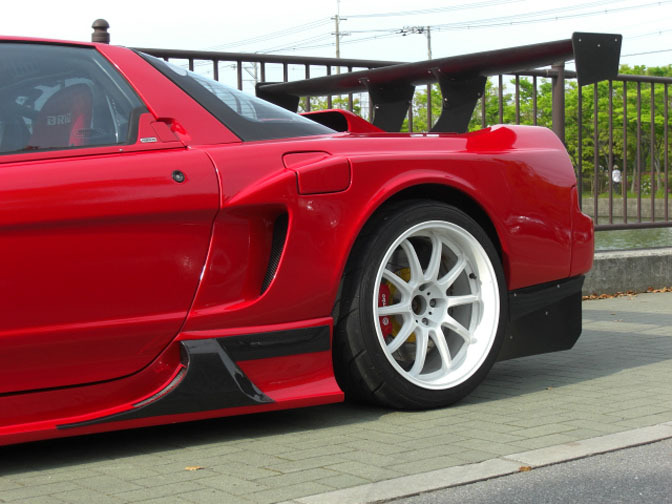 The bodykit is a mix of different tuners, Sorcery provided the frontbumper while RouteKS is responsible for the rest of the kit. The kit comprises of wide front and rear fenders, carbon fibre hood and sideskirts. 18" Prodrive wheels in the back and 17" wheels in the front. Behind the wheel you can see the Brembo F40 calipers for that much needed stopping power. 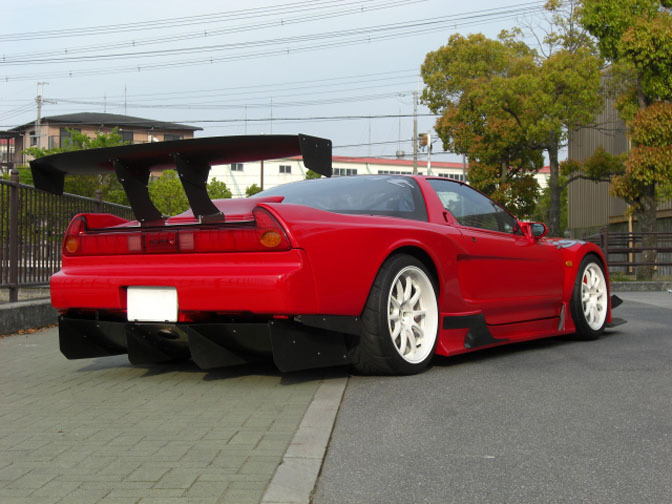 Massive RouteKS spoiler that will surely make a dent in your wallet, but will definitely help to get you that extra downforce. For even more downforce Esprit has build their own diffusor under the rear of the car. There are others on the market but none with a central exhaust exit. 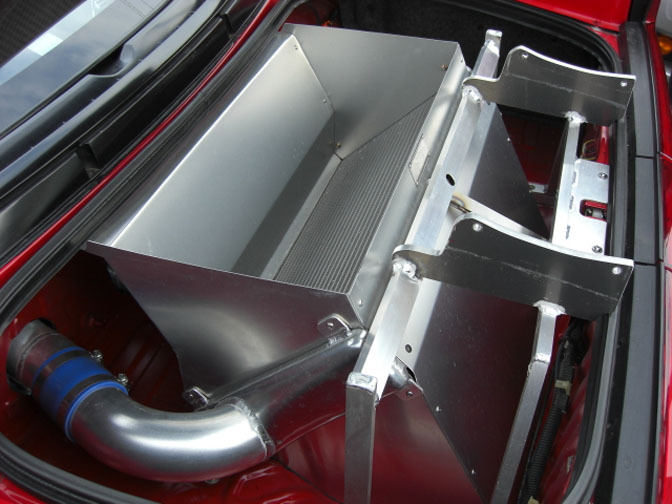 Because of the turbo, the car needs a intercooler, with alot of custom fabrication they managed to put the Trust intercooler in the trunk and routed the hardpipes through the bulkhead. They even managed to fit an oilcooler in there. Like what you see? When you head over to Global Auto you can even buy this car. Amazing car...... tats all i can say... n its up for sale.... GRAB IT!!! I saw they use twin trust t51 on the video. هتقدر توصل لمؤسسة السبيعي في اي وقت عن طريق رقم الجوال او البريد الالكتروني اتصل الان واطلب كنب مغربي علي زوقق انت . اطلال علي نهر النيل العظيم واستجمام وراحه نفسيه في فندق كونراد القاهرة لديه اكبر مطاهم مشهوره لاحسن الماكولات البحريه المشويه . متفوتش فورصة كلية هندسه الان في معادلة كلية هندسه علي يد اكبر فريق من الهندسين المتخصيصين في كلية هندسه .